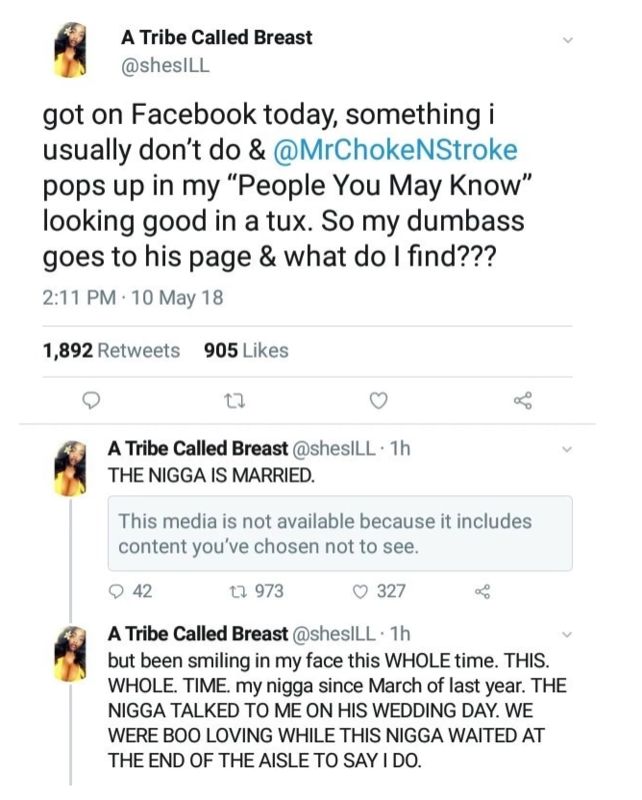 She continued that she found out when surfing through her Facebook, she saw her boyfriend’s profile, looked it up and saw that he wedded not long ago. She wrote: ” you all have no idea how crushed I am right now, the N!gga I have been talking to for over a year now is married and had a whole a*s wedding during this time. I know his wife has a Twitter so i’ma go look for her cause this sh*t here is unacceptable. This must have been a heartbreaking find for the lady, many relationships have ended badly and it’s appalling that people can’t find the courage to end friendship with others, when they are no more comfortable with it. 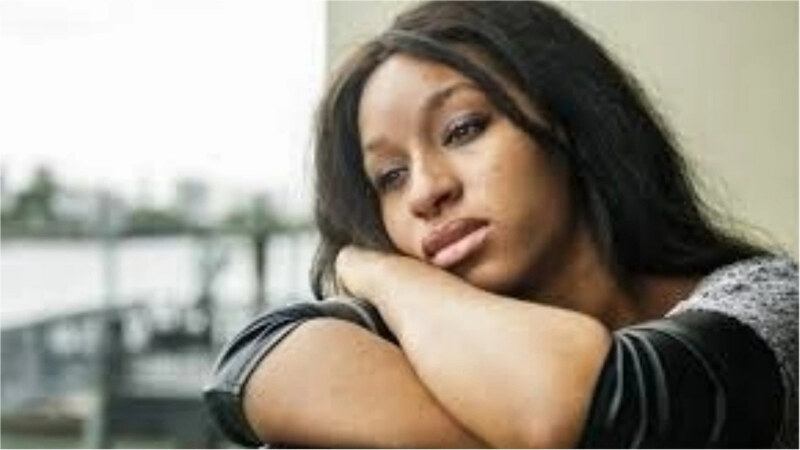 0 Response to "Lady Narrates How She Found Out That Her Boyfriend of 1 Year Has Been Married"